Top quality classic car/bike fridge magnet. Choose the design you want fom the drop down menu. Size - around 75mm x 55mm and a chunky 3mm thick. 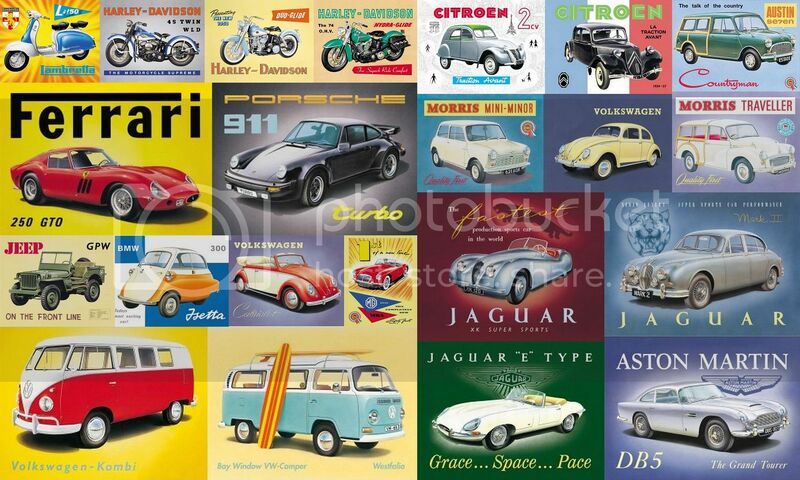 A selection of fridge magnets - cars, bikes and campervans.